A growing number of migrants are living on the streets in Italy and are not part of the hosting system, according to the 2018 report drafted by Rome's Centro Astalli, a Jesuit refugee center. 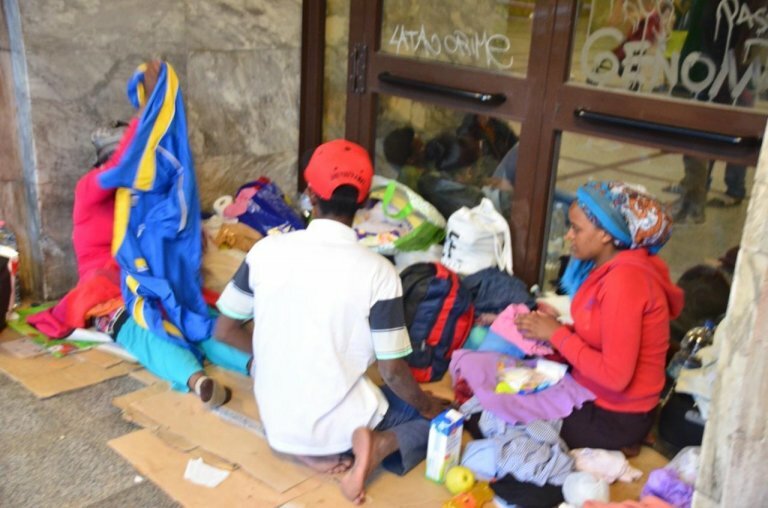 The Centro Astalli, a Jesuit refugee center in Rome, said that a growing number of people over the last year have been excluded from the migrant hosting system and are homeless. Moreover, migrants have been continuing to report episodes of violence, torture and abuse they have endured during their travels and need constant attention, the center's annual report 2018 noted. The Centro Astalli in 2017 assisted about 30,000 people, including 14,000 in Rome. A reported 1,089 people stayed at Jesuit centers. The meals distributed were 59,908. The Centro Astalli reported that, in spite of a drop in arrivals registered in Italy in 2017, the objective of a single hosting system and uniform standards across Italy is still far. The passage from centers that first host migrants to facilities where asylum seekers stay as their application is processed ''occurs with major delays and for a limited number of people, damaging the quality of the integration process''. Although the national hosting system has grown, the report said, an increasing number of people are excluded from the system and are homeless. In Rome, in particular, many asylum seekers abandoned the facilities that hosted them initially and for this reason remain cut out of the support system, which includes legal aid, the report said. The Centro SaMiFo, which assists victims of violence and torture, reported in 2017 a growing number of victims of abuse, especially at detention centers in Libya. Medical and psychological examinations often revealed the dramatic experiences endured by migrants, which require treatment, the report said. The effect of measures introduced in 2017 to reduce the number of migrants traveling to Europe through the central Mediterranean route implies that migrants are held in Libya longer and ''can be subjected to detention in critical conditions''. The housing emergency in Rome was apparent also in the forced evictions of buildings that have been illegally occupied for years, including by refugees, many of whom lack a support network in the area, the report said. One-fourth of the people who sought the help of the Centro Astalli last year, including legal aid, said they experienced torture and violence.